You're looking at the future of toasties and the Royal Mail. 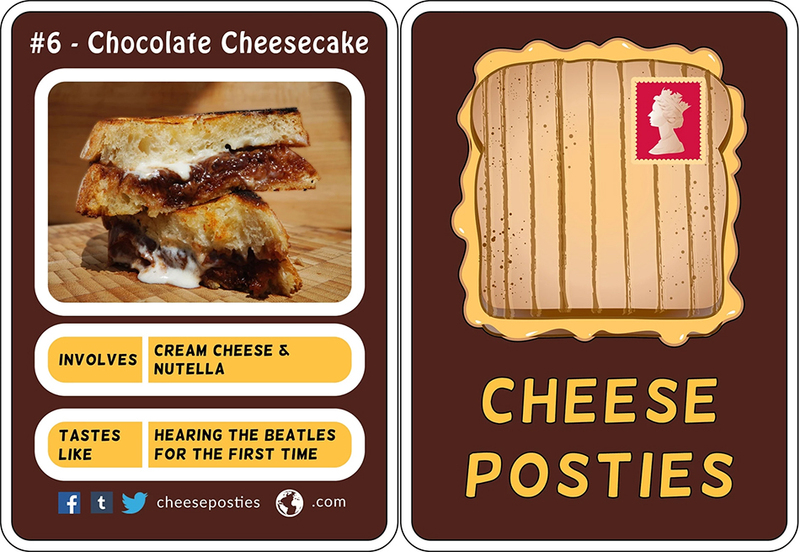 The two disparate worlds of cheese toasties and the Royal Mail are to cross paths this month to create something we've so far only dared to dream of: Cheese Posties. 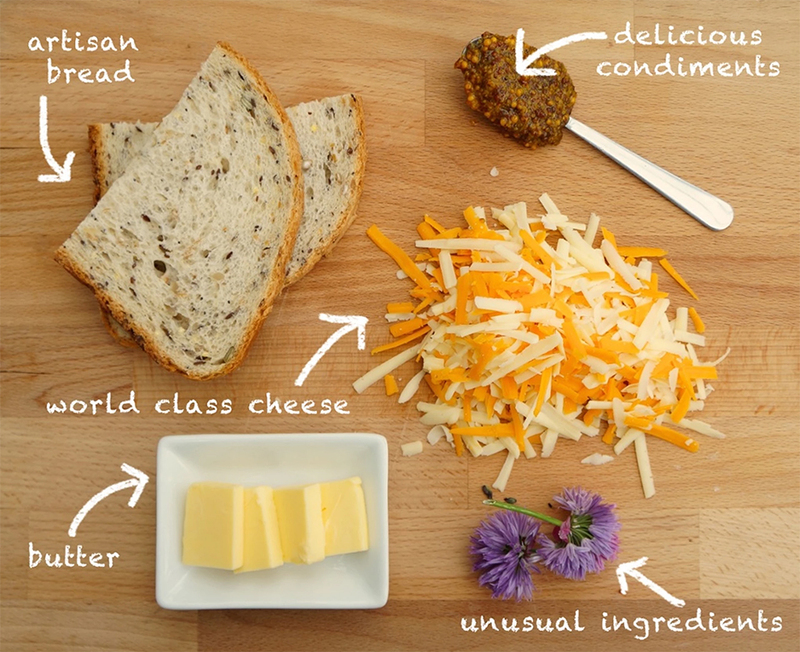 No more walking around and collecting cheese, bread and ingredients like a chump, for £3.99 you will be sent a gourmet cheese toastie once a week straight to your letterbox where it can sit with your unpaid bills until you are ready to eat it. If you're worried that the cheese toastie will become a disgusting horrible mess by the time you've put it through the mail you're right to be, but calm down. The toasties are sent to you uncooked, leaving you to put them all together. The Cheese Postie company was invented by entrepreneurs Danny Jennings and Dave Rotheroe as a solution to not having toasties sent you via the post. Brought together by their undying love for unusual toastie flavours, the two started a kickstarter campaign to get their business off the ground and quickly exceeded their £2,000 goal. They hope to follow in the footsteps of Graze, a similar "food post" business that sends healthier foods. 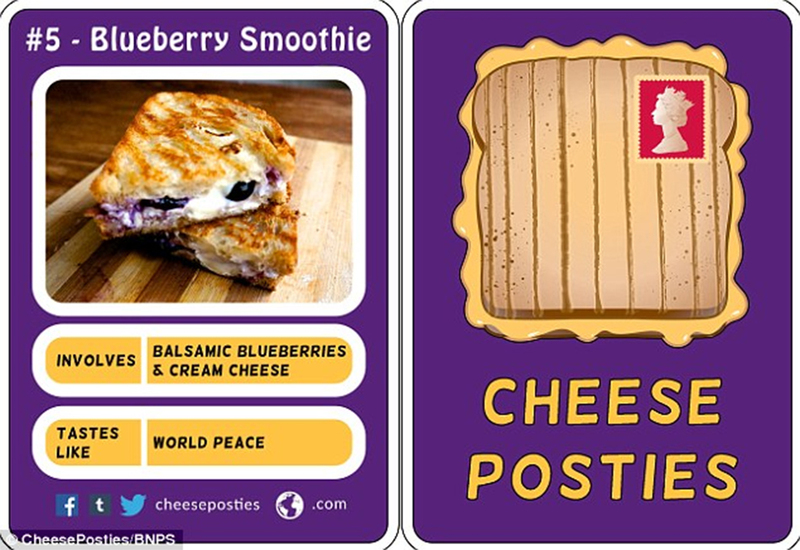 More unusual flavour combinations expected to launch include the Chocolate Cheesecake and the Blueberry Smoothie. French Onion Soup - made with gruyere and caramelised onion. Cream Cheese and Balsamic Blueberry. The team describe themselves as being "full cheese ahead" (arrrrrrrrgh!!!) and expect to be ready to launch soon. How will the postman handle the package? Caerphilly. Is this idea crazy? Maybe a bit emmental. Though the company are cautious about starting out, they insist they can only get feta.